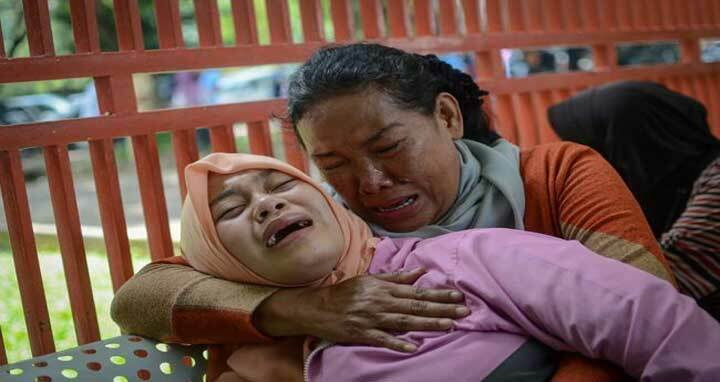 Jakarta, 10 April, Abnews: More than 50 Indonesians have died and many have been become sick and hospitalised since last week after consuming homemade alcohol tainted with various ingredients including mosquito repellent, authorities said on Tuesday. Police have detained at least 12 men in the capital, Jakarta, and a neighbouring province on suspicion of making and selling the liquor. It was not clear if the victims had been poisoned by the formation of deadly methanol in the drink, or by an ingredient, one of which was known to be insect repellent, police said. ‘It was a blend of components not fit for consumption. We are still testing to determine the contents,’ said a police spokesman, Trunoyudo Wisnu Andiko. Authorities had raided streetside vendors to seize and destroy thousands of bottles of the moonshine, he said. Media broadcast pictures of grieving families waiting to claim the bodies of loved ones at hospital morgues in several cities. Muslim-majority Indonesia imposes high rates of tax on alcohol, which sometimes leads to people turning to cheap home brews.